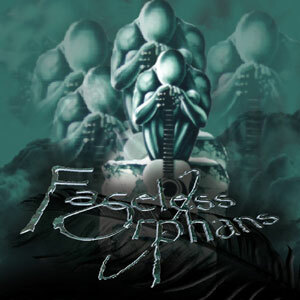 Faceless Orphans is a Canadian alternative rock band from Rouyn-Noranda in northern Quebec. 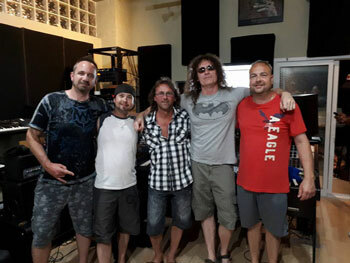 Formed in 2016 by Jean Landry (vocals) and Francis Camirand (guitar), the group’s line-up includes drummer Marco Lamarche, guitarist Carle Marcotte, and bassist Michaël Gervais. Spectacular musicianship aside, the heart and soul of the band’s self-titled debut album lays in its riffs and Landry’s passionate delivery. Camirand and Marcotte truly shine throughout the entirety of the album. With the help of everyone else giving it their all, Lamarche and Gervais drive the songs with their groovy and tasty rhythm work. In addition to his exemplary work here, Landry belts out every lyric with an in your face kind of style that proves to be nothing short of engaging. Faceless Orphans manage to show off their incredibly charismatic musicianship on this album in a raw, accessible light which will obviously pave the way for any well-deserved acclaim that is inevitably to come. This is a great modern rock album. There are heavy moments, lighter moments, then heavy again – all totally cerebral, and totally beautiful. This album shows what a band can do with the right focus. 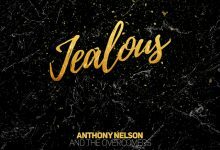 The playing here is intuitive and totally indicative of musicians who have worked together for a long period of time that it is hard to believe the brevity of their experiences together. Bridging the gap between sharp focus and complexity, the guitarists avoid going off on needlessly discursive passages, while the drums and bass provide sturdy skeletons for the tracks. That’s why their combination of the crushingly heavy, the complex and the melodious is in a class by itself right from the opening track, “Sorry”. On top of that the production, expertly balances the punch with clarity. 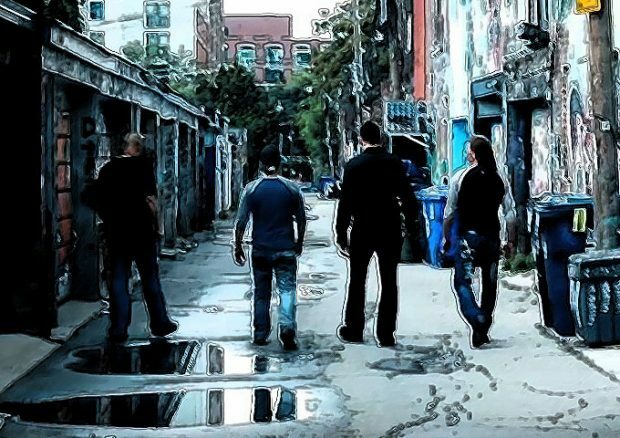 What shines through the album most, though, is the quintet’s uncanny knack for vocal hooks and their ability to swing through different styles with ease, delivering each piece with confidence and power, as on the swampy, blues infected “Sacred Song”. Faceless Orphans are equally commendable when they reveal their pop sensibilities on such cuts as “Tears of Glue” and “I Guess”, but there are also moments of controlled technical madness on “Legion of Battle Plan” that’s built around cascading poly-rhythmic riffs. “Swallowed Hole” and “Child Wolf” balance the technicality with melodicism even better, interestingly climaxing in glam rock passages featuring hooky chanting. Meanwhile, “So Much Real” brilliantly showcases the act’s most contemplative incarnation taking its sweet time to build up to an explosive chorus, while “Falling Down the Grave” is a sonic equivalent of a fun roller-coaster ride, finely contrasting a killer groove-laden main riff with resonating vocals and a multifaceted guitar solo interludes. Sometimes it’s hard being both a musician and a listener. To turn off your musical brain and enjoy something doesn’t always come easy. You’re often dissecting and over-analyzing songs to their microscopic elements, to their fundamental concepts, and it takes away from the experience. With current trends in rock music being firmly focused on playing at whirlwind speed and with the utmost complexity this doesn’t help. Faceless Orphans however, make it easy for you to get lost in the experience of their album, maturely pursuing songwriting, in lieu of the aforementioned trends.